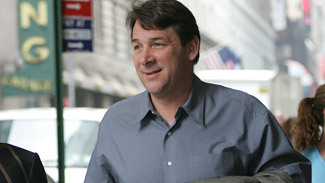 NHL on NBC analyst Mike Milbury is never at a loss for opinions and he has a few thoughts on both the New York Rangers and the Boston Bruins, the participants in Sunday's NHL on NBC game (12:30 p.m. ET) at Madison Square Garden. The Rangers remade themselves on the fly in the past two weeks, starting with the dismissal of coach Tom Renney, who was replaced by the fiery John Tortorella. Then, in the hours leading up to Wednesday's trade deadline, the team added prodigal son Sean Avery through re-entry waivers and imported Toronto forward Nik Antropov and Phoenix defenseman Derek Morris through separate deals. The results have been good so far as the Rangers have put together back-to-back wins and have gained points in three of four games under Tortorella. * Is the new-found energy under John Totorella sustainable? * Can the offense supply enough to be a threat in the postseason? * How good a hockey chef is coach Tortorella? He has just six weeks to whip together a team. * What about Avery rejoining the Rangers after a League-mandated suspension and anger-management counseling? Milbury believes Avery will be a model citizen in his return to the NHL. * Does the Rangers' defense have the skill to go deep in the playoffs? Unlike many critics, Milbury doesn't believe a lack of physicality on the blue line will be a detriment. He wants to see if the defenseman can play a more committed, and basic, game. The Bruins, who sit first in the Eastern Conference, will also be under Milbury's microscope. After all, this is a team that has lost nine of its last 12 games and is starting to show some fissures as the playoffs approach, causing some teeth gnashing and hand wringing among the Hub's hockey faithful. * Can the Bruins start to get big games from their big players again? The team has lost its defensive structure, discipline and goal-scoring confidence in the past month, Milbury says. * How will the new additions at the trade deadline -- defenseman Steve Montador and forward Mark Recchi -- fit in with the club? Milbury says Montador brings depth and toughness on the blue line, while Recchi is a left-handed shot option on the power play, something that coach Claude Julien has done without this season. * Did GM Peter Chiarelli do enough at the deadline to address his team's deficiencies? Right now, Milbury believes that the Bruins GM did what was necessary to bring a spark, but also says that Boston's present funk is not to be overlooked. The Ottawa Senators were in a tough spot at the end of the 2005-06 season. Their two top defensemen, Wade Redden and Zdeno Chara, were free agents, and with the salary cap, they only could afford to sign one. At that same time, several clubs were interested in Assistant General Manager Peter Chiarelli, a former college hockey player with a strong background in economics and business management. The Senators signed Redden and let Chara go, and stayed with General Manager John Muckler and let Chiarelli go. Both Chara and Chiarelli signed with the Boston Bruins and each has played a major role in turning around the team. Chiarelli clearly is the Bruins' leader off the ice, while Chara has developed into one of the NHL's best leaders as captain of the Bruins and their top player in terms of minutes played. Chara was named Bruins' captain prior to the start of the 2005-06 season and he's held that role since, including the past two seasons for coach Claude Julien. "I was looking forward to a leadership role and I knew that this team had enough older veterans who are good leaders," said Chara. "I knew that I couldn't do it by myself. We have shared leadership and responsibility duties. It's never a one-man show; you have to share that and have good communication with players and coaches. You also have to be a good example on and off the ice." Chara had players set the example for him during his career, which started in 1997-98 with the New York Islanders. "I played with three captains that really impressed me," Chara said. "There was Kenny Jonsson and Trevor Linden with the New York Islanders and Daniel Alfredsson with the Ottawa Senators. They were similar in that they are all very quiet and intelligent. When you watch them, you realize how passionate they are and how they handle things. You learn from them. That doesn't mean that I'm the same way. I tried to learn from every aspect." He said it's important to see the captaincy as a real job, not a ceremonial honor. "You have to be a leader, especially on the ice," Chara said. "You have to lead a team and you have to make sure you have a feeling for the locker room. If it's too tight, you have to make it looser, and if it's too loose, make it tighter. Make everybody ready. Mostly, you have to be a guy people like, respect and want to follow. Other guys have to help and share responsibility. "I don't think there is anything you aren't allowed to do if you aren't captain. It doesn't mean that if you are captain, you're allowed to do things differently or get away with anything. If you are captain, remember you're not special and you should be treated the same as everyone else. Be hard but be fair. To be a captain is a big honor and I took a lot of pride in being captain. I try to get better at everything I do and I take pride in my job. "You have to take some of the blame; there's not always a good side to it. Sometimes you have to bite the bullet and live with it. That's the nature of the job. You take some of the blame and that's a hard part of the game." Chara was asked to evaluate how his leadership has helped the Bruins in their two-year rise to the top of the Eastern Conference standings. He said that while there is a veteran core on the Bruins, they have thrived by successfully integrating young players. "When younger guys are coming onto the team, they are looking for leadership," Chara said. "We have a group of older guys, a good group that buys into the system and what we are trying to accomplish. We all have a job to do. It's up to the other guys to follow the leaders, learn the system and play hard. The head coach is the ultimate leader and we have to follow his instructions." Chara said he is comfortable delegating some of the leadership, but he's seen captains who like to keep full control to themselves. "I've seen it, but I think this is the better way to do it, to have more heads in the meetings talking about things," Chara said. "We come up with more ideas this way. It's better to discuss things among a group of leaders than with one or two people. I like having four, five or six guys together, making decisions as a group, rather than me making decisions on my own and then realizing I should have talked to more people. "It's better to have other guys involved and share leadership and responsibility."